One of the mantras we hear from Fantasy Baseball experts is “Don’t chase Saves.” Closers are so hit-or-miss in this league, that on draft day trying to chase mediocre closers usually turns into wasted draft picks as these guys frequently get hurt or under-perform and get replaced. Well, its not that much better in “real” baseball, where teams best laid plans for closers often backfire mightily. Only 10 of the 30 MLB teams kept the same closer wire-to-wire. 14 of the 30 teams had a different guy in the closer role by season’s end. That’s half the league! The other 6 teams had the same guy at season’s start and end, but went through personnel changes in between. This includes our own Nats, who started with Drew Storen, he got hurt, Tyler Clippard took over and stayed in the role after Storen got back, then Clippard melted in September and Storen took back over the role. 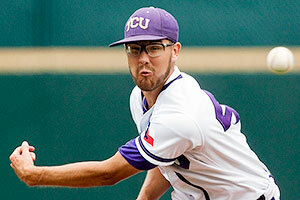 Current Closer: Andrew Bailey, for whom they traded 3 players to the Oakland A’s in 2011 to obtain. Two minor league prospects and one Josh Reddick, who hit 32 homers last year. Acquired last off-season to be their 2012 closer: Mark Melancon, for whom they traded two good prospects to the Houston Astros in 2011; Jed Lowrie and Kyle Weiland. Lowrie is now posting a nifty 126 ops+ for the Athletics (to whom he was flipped by Houston for even more prospects). Melancon had two bad outings at the beginning of 2012, was banished to the minors and eventually flipped for …. Former 2013 closer: Joel Hanrahan, for whom they traded 4 players to the Pittsburgh Pirates last December. Including Mark Melancon, who is repaying the Pirates for their patience in him by posting a .072 ERA in 25 innings thus far this year. Hanrahan just had Tommy John surgery and is out for at least a year. [Post-post update]; By the end of June, Bailey allowed 4 homers in 5 games, hit the D/L and on July 22nd was announced as undergoing season-ending surgery. and is being replaced by … somebody. By Mid July it seemed clear that it was Kenji Uehara, a free-agent signing last off-season. So for all their trades, they end up using a minor FA signing as their closer. So for the record that’s 9 guys traded away (including at least two effective hitters) in the past two off-seasons to chase one (in my opinion) relatively meaningless statistic. And basically all they have to show for it is Andrew Bailey no longer pitching the 9th for them. Of course, maybe the joke’s on me, since the Red Sox are in first place at the time of this writing. But for an organization that used to be known for doing smart things (including the smart move of allowing long-time closer Jonathan Papelbon be overpaid by someone else on the FA market), these moves are just dumb. Find a hard throwing guy in your system, make him the “closer,” repeat as necessary. That should be the strategy. And oh, by the way, I don’t exempt our own team from this. Rafael Soriano was an unneeded purchase who (as we’ve seen by the unwarranted shot at Bryce Harper) could be more trouble than he’s worth. But hey, its not my money right? At least the Nats didn’t trade good prospects to acquire him (like Boston has done over and again). 1. Joe Posnanski and others have shown how useless closers are. Teams are winning games at basically the same percentage now in the closer era that they were 50 years ago, without highly paid specialized closers. Some quick percentages: For the latest decade teams won 95.2% of games in which they led going into the 9th. In the 60s, 70s and 80s that same percentage varied between 95.6-94.8%. Can someone explain to me how the proliferation of highly paid closers in the last 20 years of the game has basically helped teams …. win the exact same number of games they used to before closers, matchup bullpen roles and Loogys existed?? 2. Any old mediocre reliever is going to end up being a relatively effective closer. Proof? Lets say an average reliever has a 4.50 era or so (which in today’s game frankly is a stretch, given what we’ve talked about before and the advantages that relievers have over starters; they can go max effort for shorter time periods and they don’t have to face batters more than once). That means he gives up one run every two innings. Now lets say that you used this pitcher with his 4.50 era in every closing situation you face in a given year. A save situation can be a lead held by 1, 2 or 3 runs. So, out of these three scenarios your 4.50 ERA pitcher can give up his run every other start and still “save” 5 out of 6 games. 3 run lead: gives up 1 run: save. And then even in those blown-save situations, extra inning affairs are basically coin flips anyway historically, which means that teams are going to win half those games anyway. So you’re basically going to win 5.5 out of every 6 games. 5.5 out of 6 is 91%. So historically even my normal case scenario undervalues the ability of teams to win these games. And this scenario really undervalues what kind of reliever you’re actually going to put into the role. Every team has a handful of relievers in their bullpen with ERAs in the 3-3.50 range; that’s 1-1.5 runs better than my “mediocre pitcher” example over the course of a couple weeks (assuming closers get about 9 innings of work every two weeks). With even this marginal improvement you’re going from 91% to closer to the historical 94-95% of games won. Jason Grilli – 23 Saves. 36yrs old. $2.25M. He was flat out released in July 2011 by Philadelphia and signed as a Minor League FA by Pittsburgh. He’s a 36 year old journeyman on his 7th pro organziation with a 106 career ERA+. Jim Johnson – 23 saves. 30yrs old. $6.5M. He’s a home-grown middle reliever thrust into the closer role last year when the O’s got fed up with FA closer Kevin Gregg. 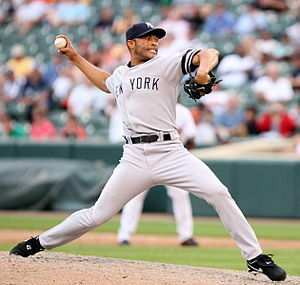 Mariano Rivera – 23 saves. 43yrs old. $10m, taking a discount from his $15M/year deals since 2008 b/c of knee issue. Home-grown player who converted to relief after bombing out as a failed starter at age 25. Joe Nathan – 20 saves. 38yrs old. $7M, taking a discount from his last contract value of $11.25M/year after significant arm injury. Failed starter with San Francisco, traded to Minnesota in the AJ Pierzynski deal and has flourished as a closer. 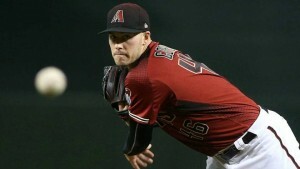 Addison Reed – 19 saves. 24yrs old, $520k (20k above MLB minimum). 3rd round draft pick by the White Sox out of San Diego State, where he was a career relief pitcher after not having ever pitched until his Junior year of HS. The next few guys are Kimbrel (655k), Mujica ($3.2M). But you’ve also got guys out there closing like Wilhemlsen, who didn’t even make the majors until he was 27 and was out of the game working as a bartender for 6 years. The point? You shouldn’t pay for a high end closer; you find someone internally who looks like a good option on the cheap and go with them. You can find someone in your farm system, or on waivers, or working in a bar who can be an effective closer. Find someone who can throw 1mph for 20 pitches a few nights a week; they’re going to give you as good of a chance to win as throwing the last guy out of the bullpen out there with a 3 run lead in the 9th. One last bit of observation: Lets look at Dennis Eckersley‘s career. As a starter: good, not amazing. A couple years with a smattering of Cy Young votes. One 20-game winning season but another season where he 9-13 with a 5.61 ERA. He converts to a closer and immediately his ERA plummets, his K/9 jumps up, his ERA+ numbers rise to stupid levels. One year (1990) as a 35-yr old he allowed just 5 earned runs and just 3 unintentional walks on the year through 73+ innings. So, how is it that a 4th starter during his 20s can suddenly become a lights out Hall-of-Fame closer in his mid-30s while doubling his k/9 rates at a time when he should have been regressing as a player? The answer is easy; relievers only have to face part of the lineup once a night, don’t need 4 pitches and can basically get by with a gimmick pitch. And, since they’re only throwing 15-20 pitches a few nights a week instead of 100-110 pitches every 4 days, they don’t need to “save their arm for the whole night” and can go with max effort during their outings with no long term effects. That’s a lot of loosely tied together points to my main theory: If I were the GM of a team, the absolute last thing I’d pursue on the FA market was a high-priced closer. I don’t think the “closer” role is going away (players know that Saves translate to Dollars in arbitration and on the FA market), but I’m hoping we’ll see less Dusty Baker-esque management techniques and more Joe Maddon.